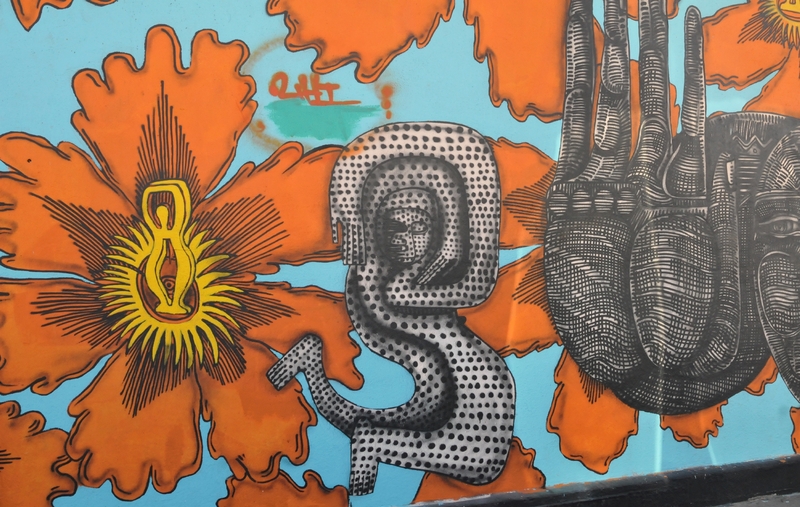 Two walls in the Santa Barbara Funk Zone were dedicated to art. The wall on the left was a painting of a painting of a Radio Flyer. The wall on the right was mural on top of a mural. 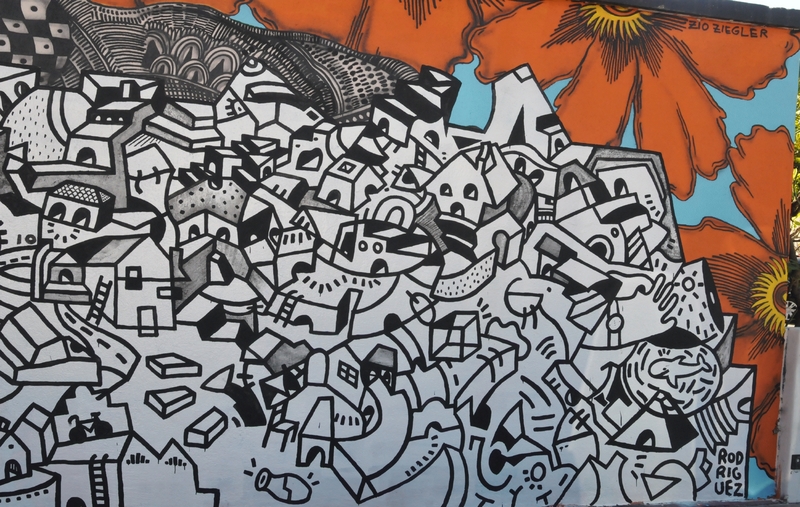 The left hand part of the mural. 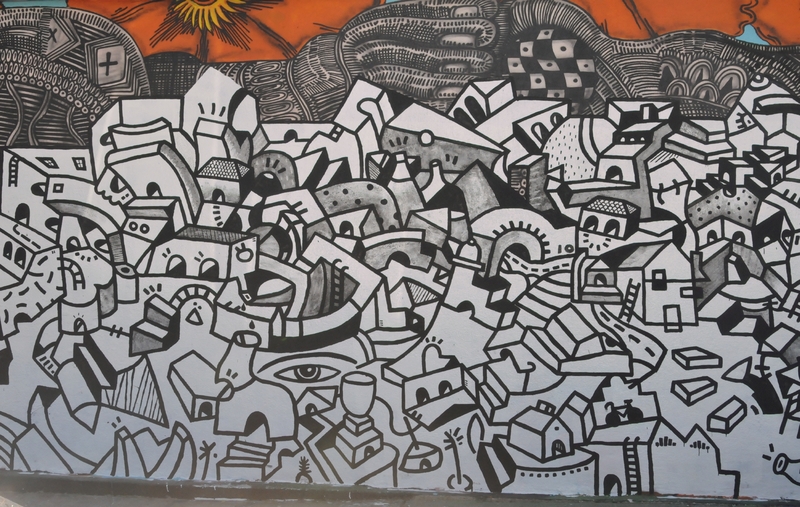 This portion was the original commissioned mural painted by Zio Ziegler. 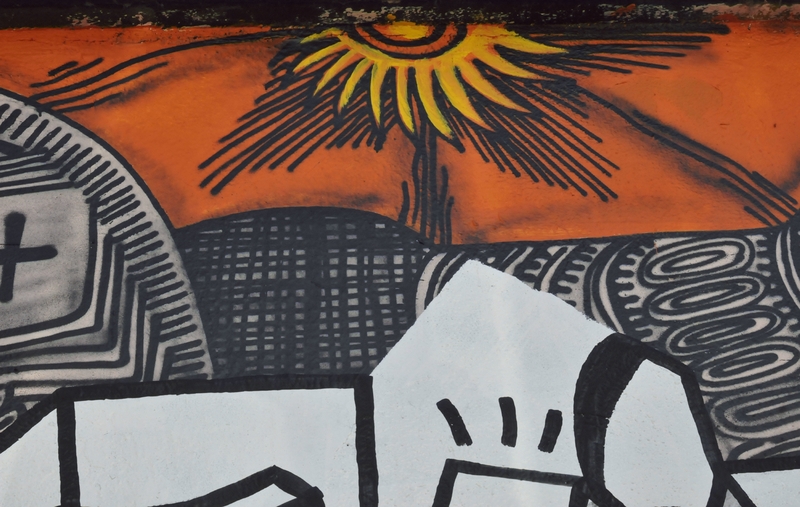 The center of the mural was also part of the original commission mural painted by Zio Ziegler. 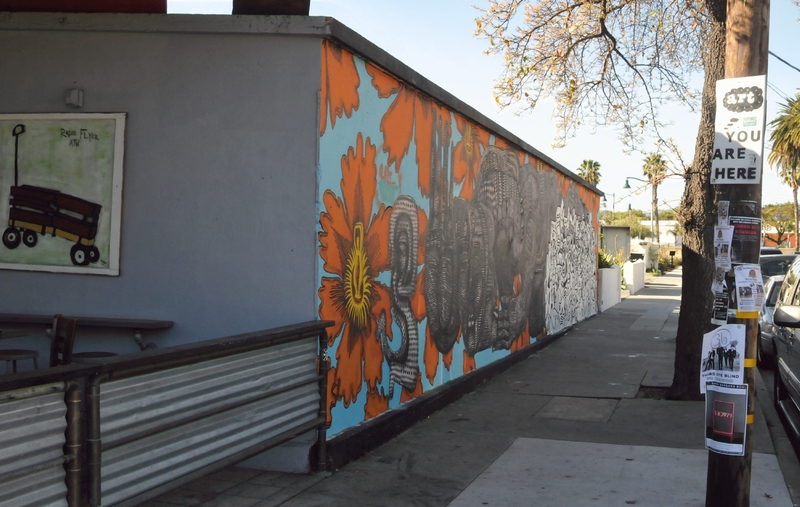 The original mural had been damaged by vandals who defaced part of the mural with graffiti. The new black and white overlay was installed by Matt Rodriguez to cover the damage. Both layers were visible along the edge of the repair. The repair was minimal, just enough to conceal the damage. 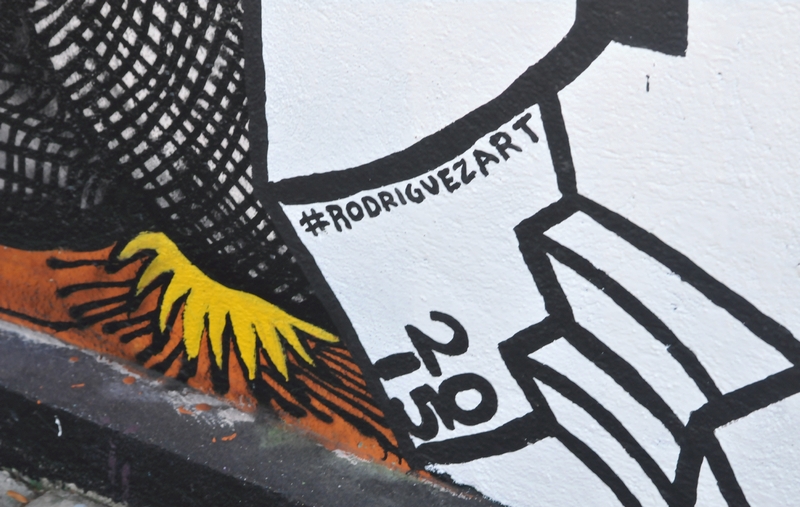 The signature part of the overlay showing that Matt Rodriguez (#RodriguezArt) painted this in 2015. 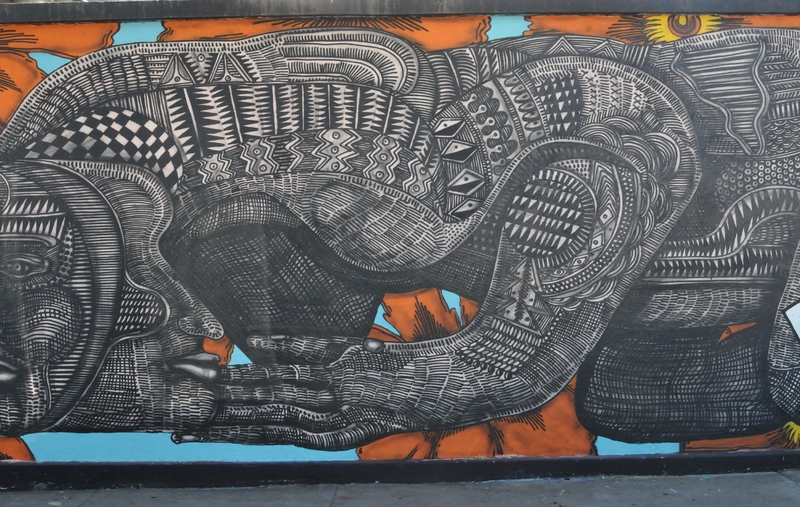 A close up shot showed the details of the original by Zio Ziegler and the overlay by Matt Rodriguez.